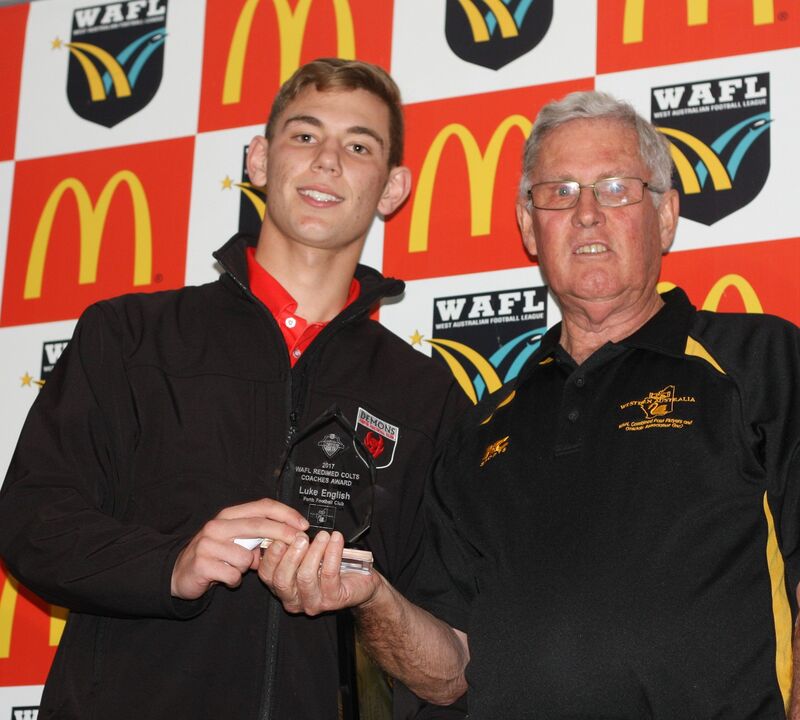 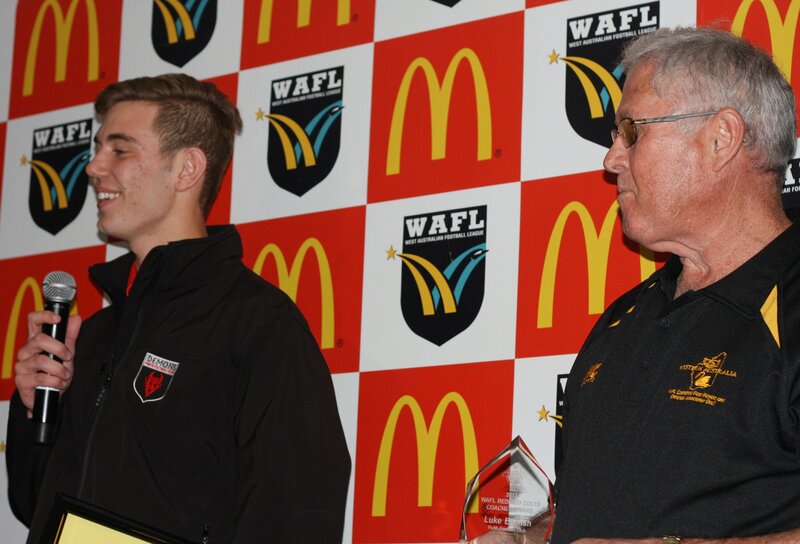 President Stan Broom presenting the 2017 WAFL Colts Coaches Award to Luke English representing the Perth Football Club. 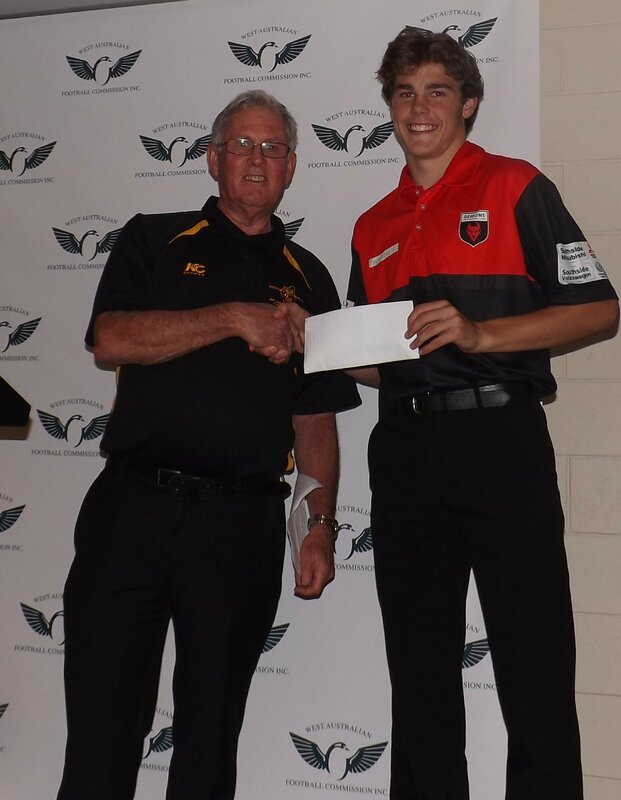 The President of the Combined Association Rod Hazell presenting a cheque for $1,500 to State 16's representative Jakob Shine. 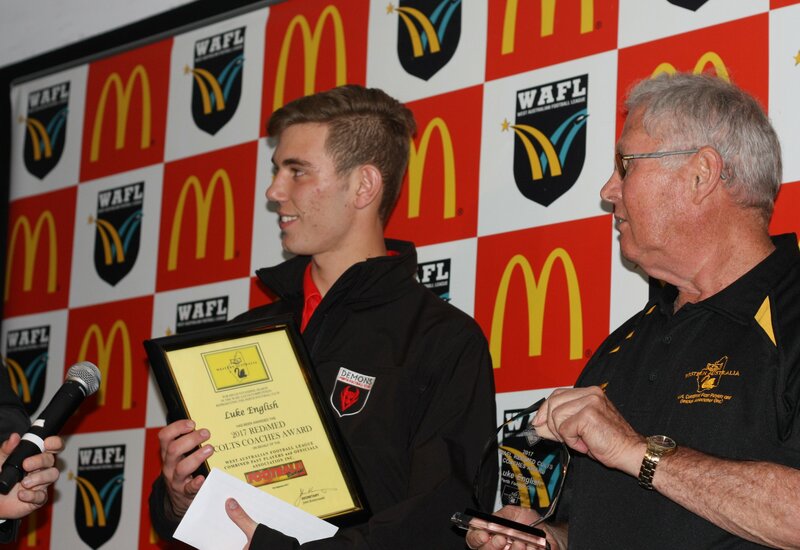 The cheque was presented on behalf of the Combined Association to assist the State 16's during the 2015 National Carnival. 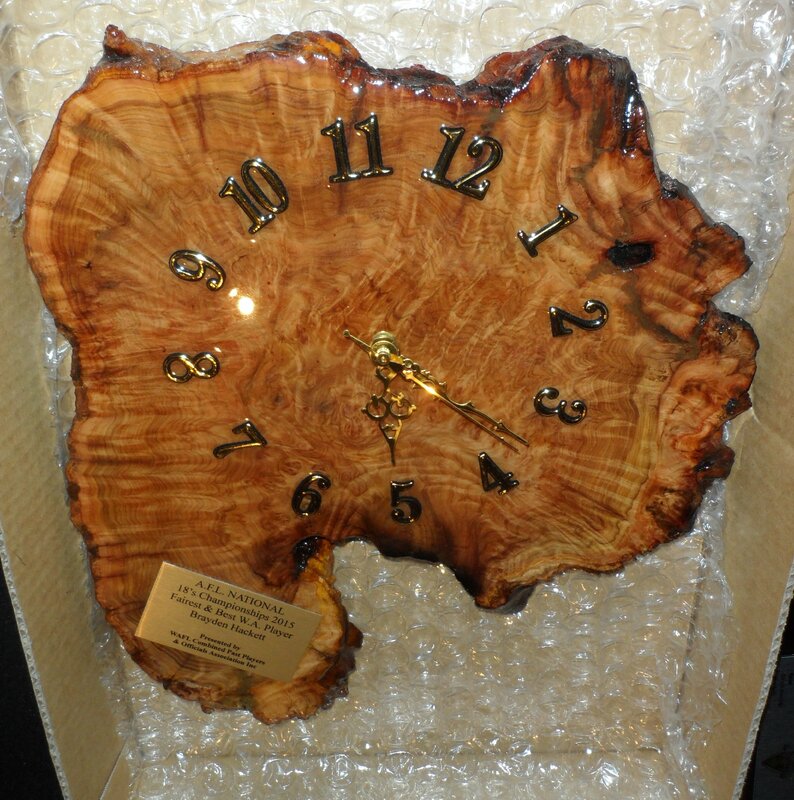 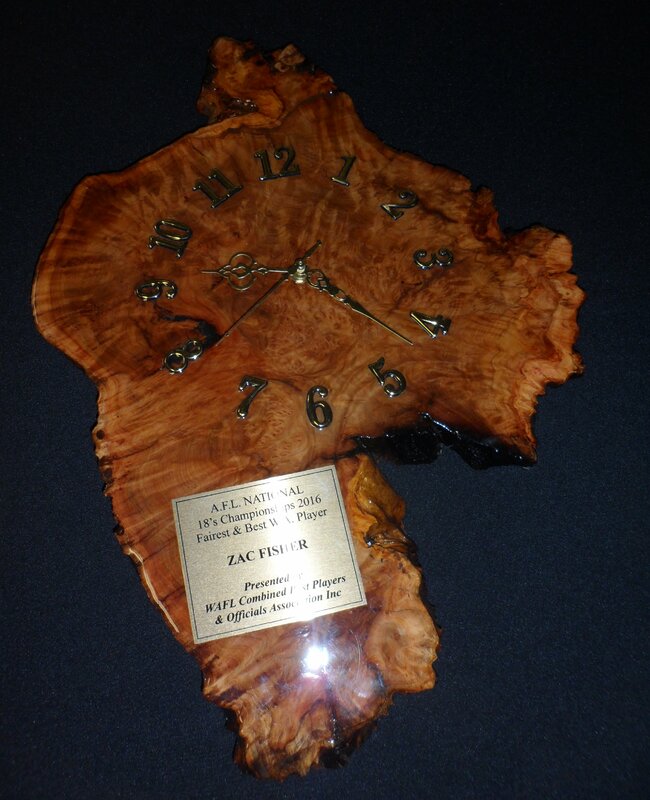 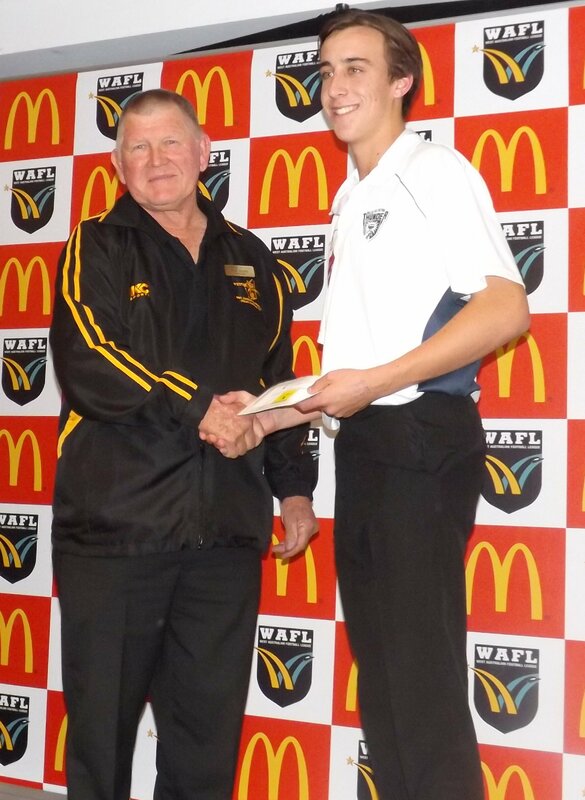 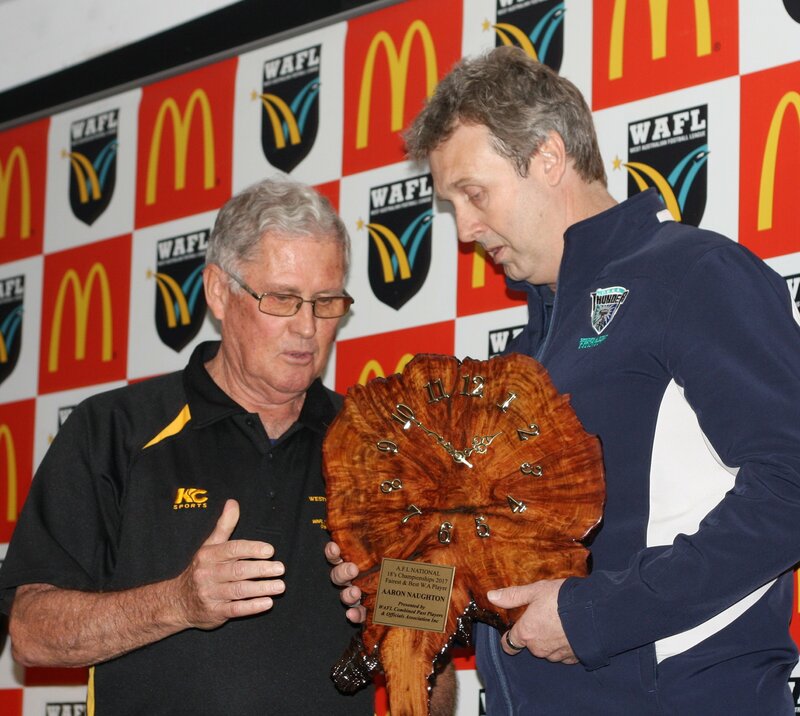 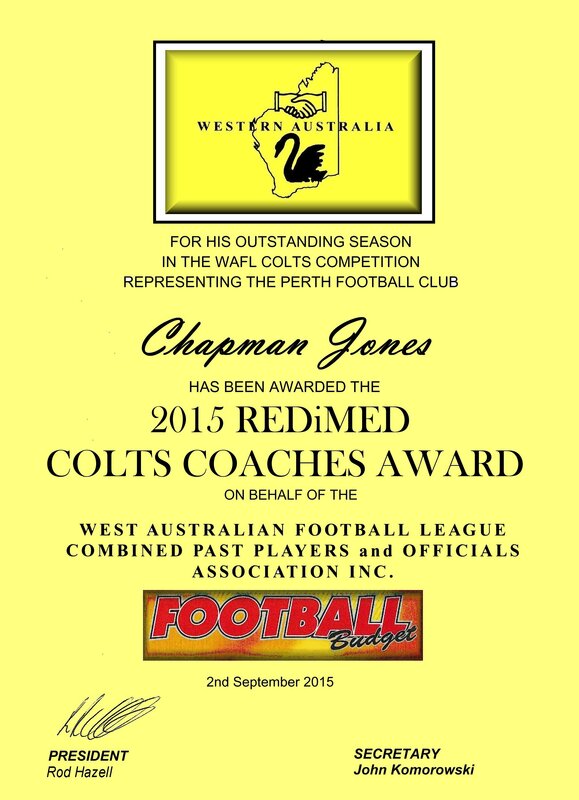 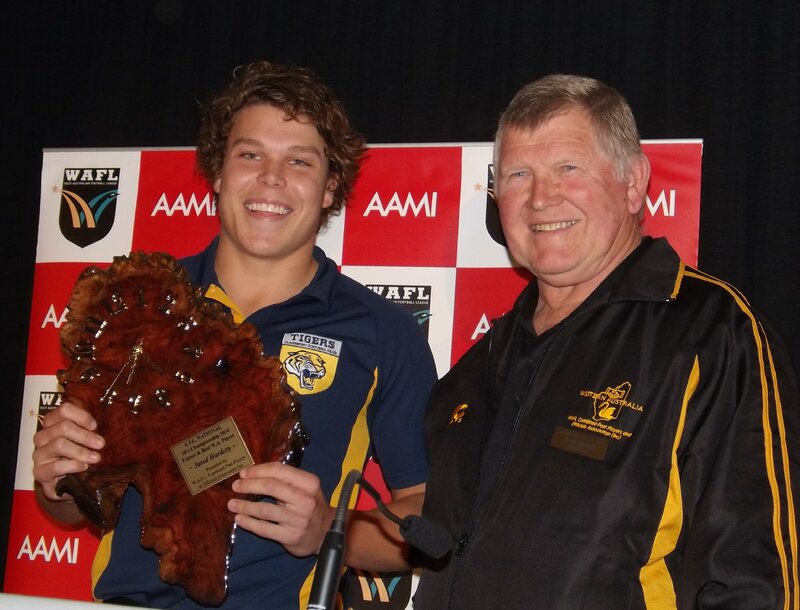 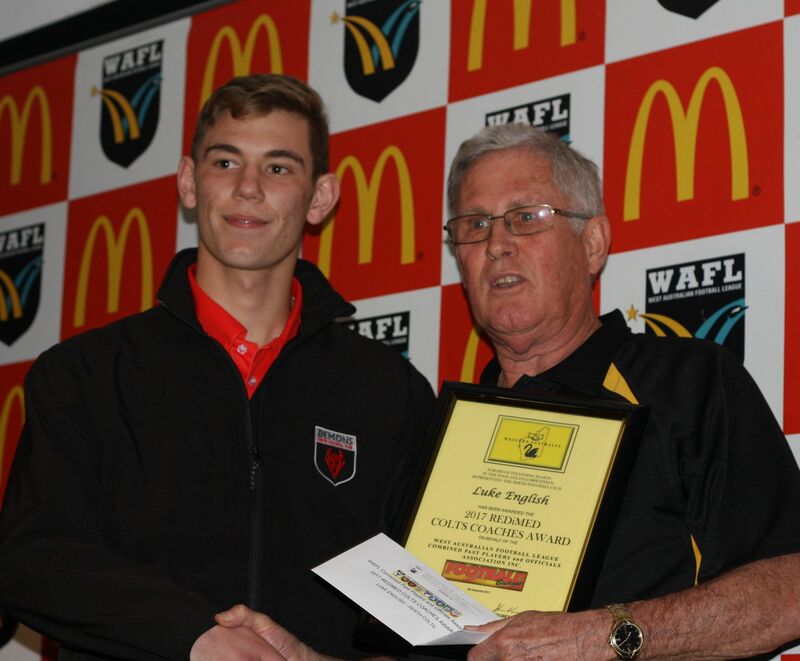 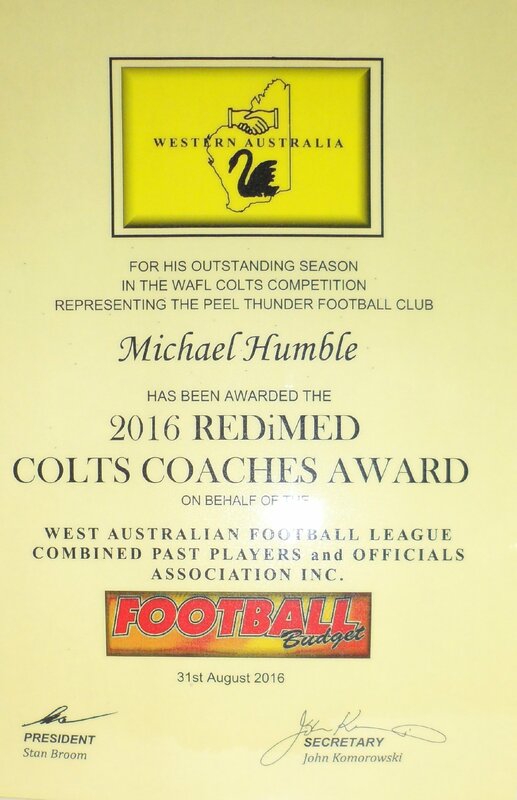 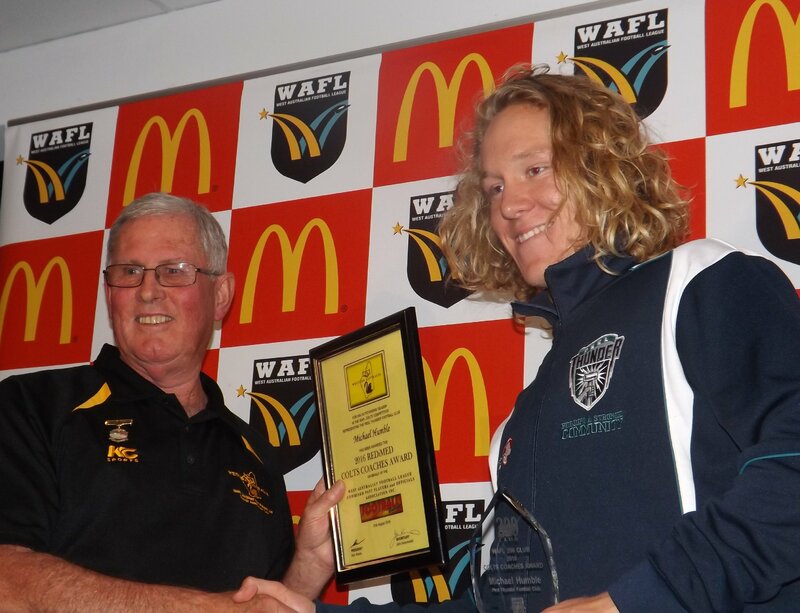 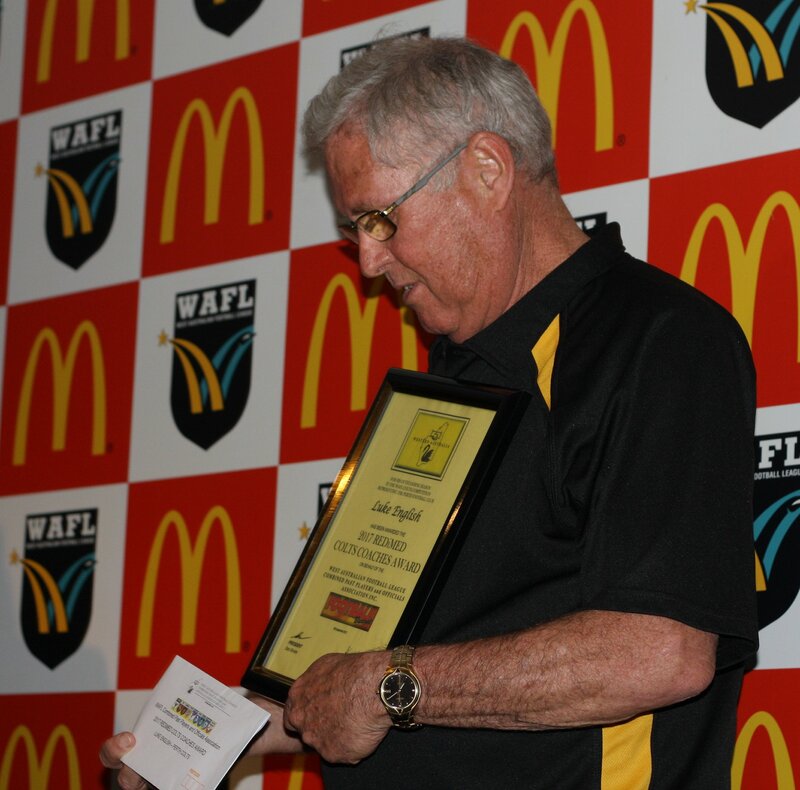 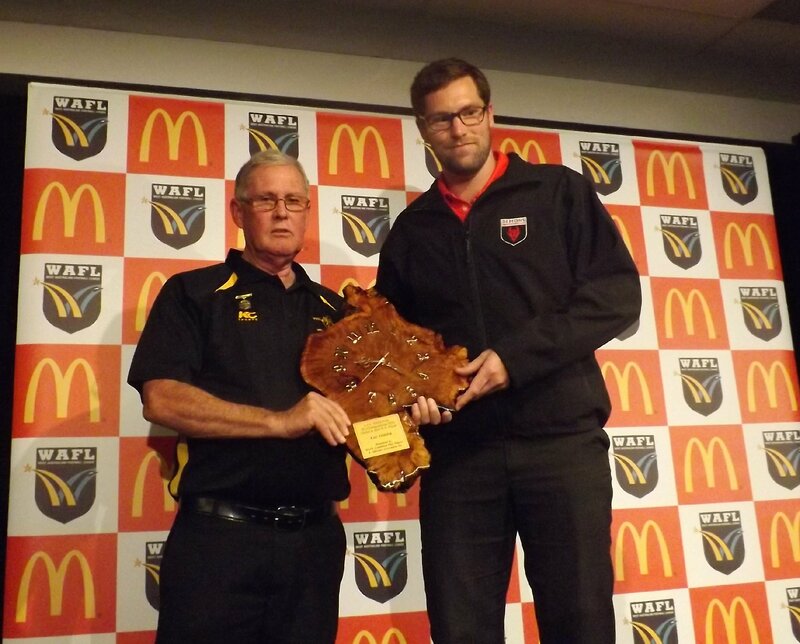 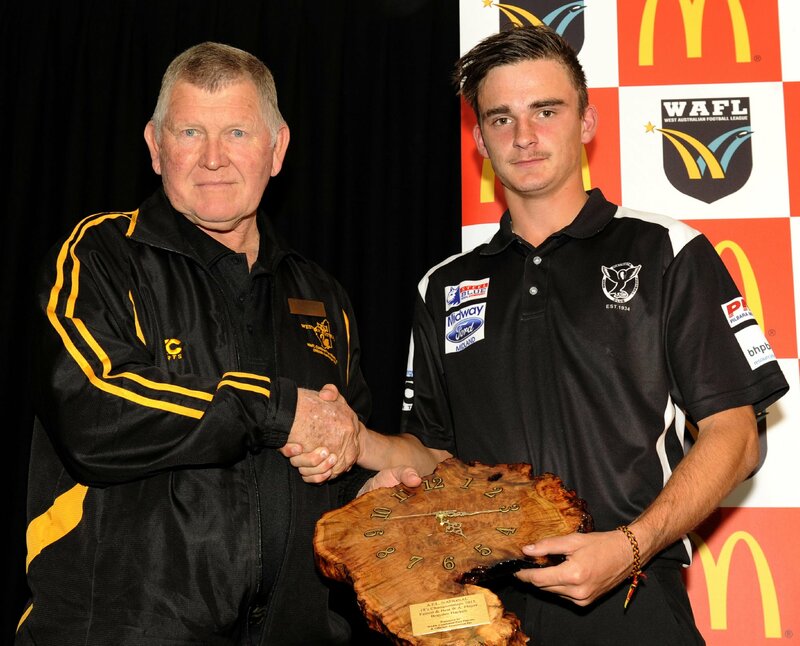 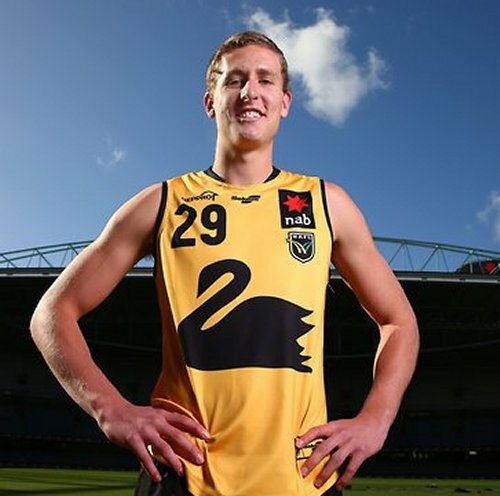 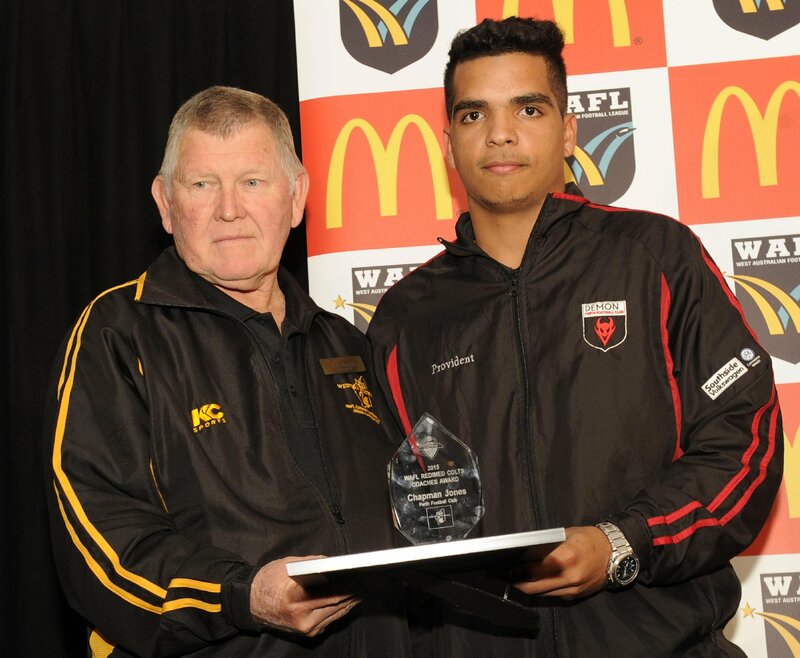 Association PresidentRod Hazell - 3 September 2014.
representing the Peel Thunder Football Club.